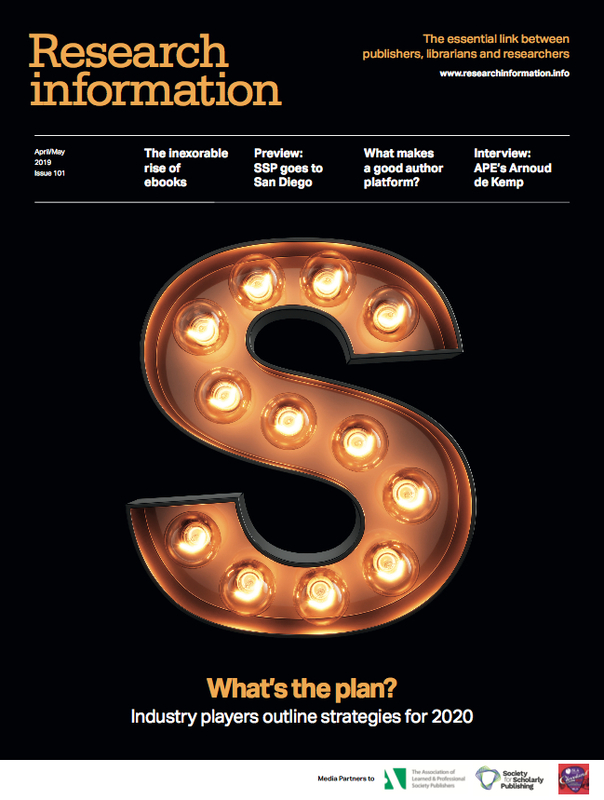 Just before the opening of the Special Libraries Association meeting in Chicago in July, the UK-based Institution of Engineering and Technology (IET) announced plans to launch the first engineering ‘megajournal’. It will be inviting submissions for its new, comprehensive, online-only, open-access (OA) journal from autumn 2012, with the publication expected to launch in 2013. As a broad-based engineering journal, it says it will accept papers on a wide range of engineering topics, rather than focusing on a single specific field. At the SLA meeting, Daniel Smith, head of academic publishing at the IET, told Research Information: ‘We wanted to offer OA and are following the biomedical route, where this happened a decade ago. Only 5 per cent of engineering texts are currently OA, but more than 80 per cent of the 35,000 engineering researchers we surveyed said they would be happy to publish via OA if the facility were there.’ Up to now, he said, obstacles had been the paucity of existing OA journals in engineering, and the lack of financial support from funding bodies. However, he said, about 30 per cent of those who had published an OA paper in engineering had paid the fees out of their own pocket – without drawing on their funding body. The future of the journal was being debated elsewhere at the SLA meeting. ‘OA is driving new business models and this is an opportunity not a threat,’ according to Olaf Ernst, commercial director of the Institute of Physics Publishing (IOP). Ernst outlined moves by the IOP to ‘build the infrastructure for the article of the future’ by putting all its journals on an HTML-based platform that allows readers to zoom in and view full-sized images, rather than just thumbnails, and watch embedded video. IOP has found that this added feature is popular. However, John Haynes, vice-president, publishing, at the American Institute of Physics stressed that, in his view: ‘There does seem to be a continued need for journals.’ He pointed out that, to be successful, a journal had to be and to be seen to be a part of the community it served. ‘Part of the value of the journal ecosystem is that the journal is part of the community. It’s hard to see how a megajournal can have these community values because they are so massive. The distinctive feature of the IET megajournal is that it will be accept papers from any engineering discipline and, while they will go through a rigorous peer-review process, other criteria such as timeliness and relevance will not be applied. Daniel Smith of the IET sees this as an advantage, offering ‘more opportunity to publish high-quality cross-disciplinary studies. This is particularly key in engineering, where many of today’s advances are being made at the interfaces between subjects.’ Usage will be a key measure, he believes, and may lead to the identification of hot topics that might not otherwise have been picked up. Springer, meantime, has chosen a different route to widen access -- particularly to applied research -- with the launch, earlier this year, of its new corporate platform, Springer for R & D. At the SLA meeting, Brian Bishop, vice president of platform development said: ‘Springer’s management had decided that, to be an electronic-focused provider of research information, it had to have a greater resource internally to develop the site. It was a leap of faith to decide to create the platform, against the backdrop of the recession at the time. Our ambition is to bring applied research to the surface -- to break into the non-academic market.’ The new site therefore provides access to over 5.6 million research documents, and is optimised for corporate and medical customers in industries ranging from automotive through oil, gas and geosciences to IT and biotechnology. The articles are taken from SpringerLink, which will remain in its existing form serving the academic community. Springer intends to offer customer-specific business models for accessing the information on Springer for R & D so that a large corporation could, for example, license different content to different departments. Alternatively, a company could open a ‘deposit account’ allowing it to access different content over time, drawing down on the account as it goes so that it does not need to predict in advance what its requirements may be.